October 29, 2011 and Halloween activities in the Big Apple are getting slimed. There's a messy wet snow falling and it's cold. 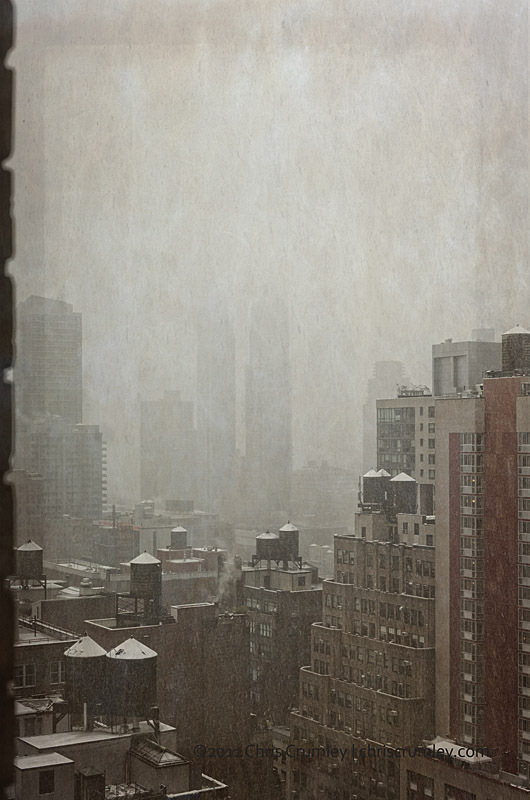 Here's the view from a cozy 25th floor suite of The New Yorker hotel, a 40-floor property built with 2,500 rooms in 1929. Today, after a $70 million renovation in 2008, the hotel has 912 rooms after knocking out walls to make rooms larger. It's walking distance to Javits Convention Center (three long blocks) and less than a block away from B&H, the photo superstore of the world.